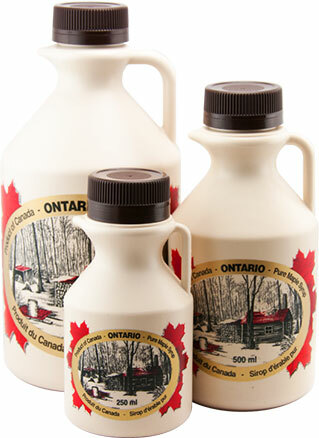 We take great pleasure in offering our customers 100% pure Ontario maple syrup. We use no chemicals in the making of our products. Our maple syrup products are sure to satisfy any taste and pocketbook. For great gifts and souvenirs consider our specialty glass bottles in a variety of traditional and contemporary designs. 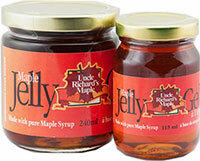 Are you looking for maple spread (butter), maple jelly, old fashion maple sugar leaves or granulated maple sugar? You have come to the right place. Just click on product category from the list below to see product description and packaging . Please contact us for up to date pricing, availability information and seasonal specials.